More than 3,000 people have been evacuated, according to government officials. 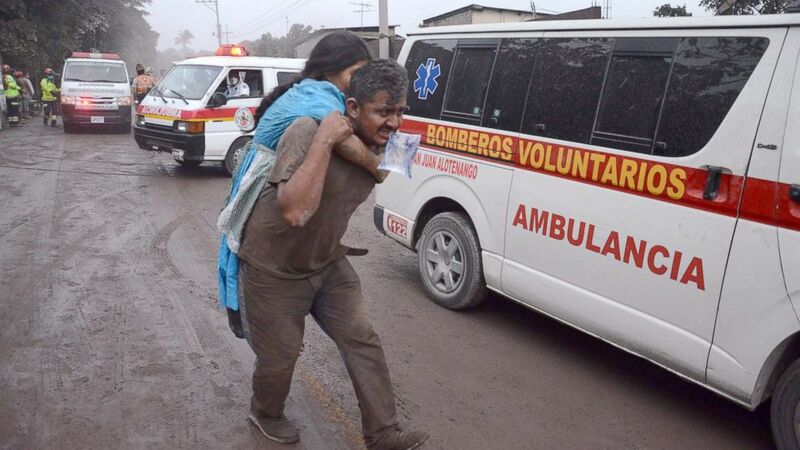 At least 65 people, including several children, have died after the most violent volcanic eruption in Guatemala in more than a century, authorities said. 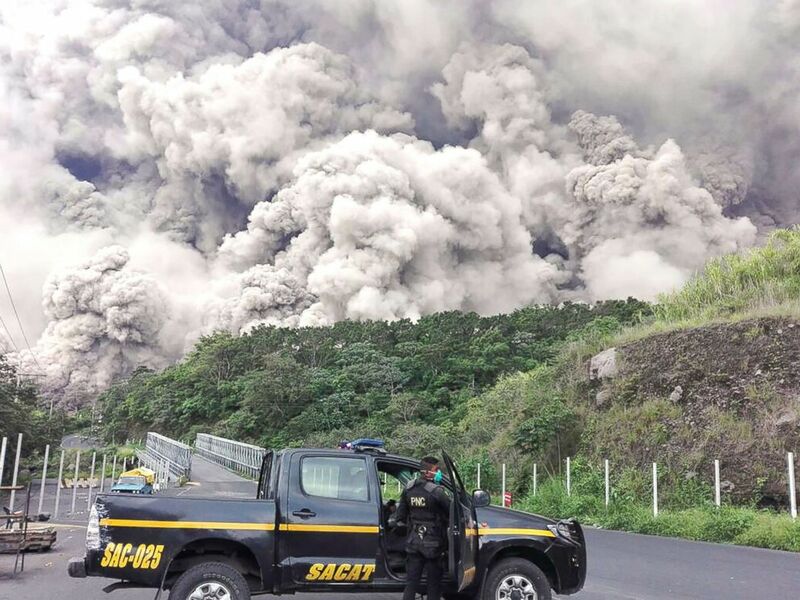 The Volcan de Fuego, Spanish for "Volcano of Fire," erupted Sunday and released a five-mile stream of lava, a pyroclastic cloud and ash that fell over nearby Guatemala City, the country's capital. The latest numbers from Guatemala's Health Ministry report 65 people dead. There have been 3,265 people evacuated and at least 46 injured because of the eruption, according to the country's disaster agency. The airport also was temporarily closed because of the floating hot ash. 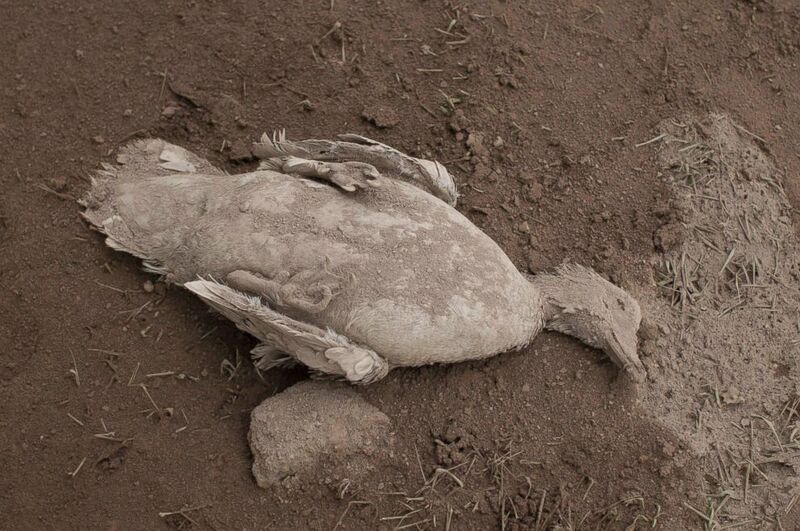 (Luis Soto/AP) The carcass of a duck blanketed with heavy ash spewed by the Volcan de Fuego, or "Volcano of Fire," lies on the ground in Escuintla, Guatemala, June 4, 2018. Officials reportedly advised residents to wear masks to protect against ash still in the air. Smaller villages closer to the volcano were severely affected. Rivers of lava poured into several villages, with media reports showing images of charred bodies and injured residents covered in ash. 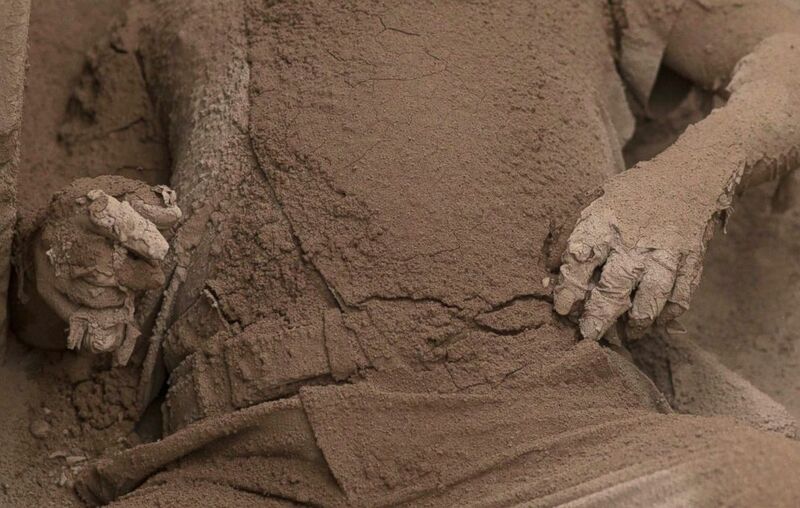 (Luis Soto/AP) The body of a victim is covered in volcanic ash spewed by the Volcan de Fuego, or "Volcano of Fire," in Escuintla, Guatemala, June 4, 2018. Rescuers were using shovels and heavy machinery this morning to find bodies of some of the victims, The Associated Press reported. Some survivors were rescued using helicopters to reach areas that were threatened by lava or covered in thick layers of ash and mud. One woman who narrowly escaped from a lava flow told news outlet Diario de Centroamerica, "Not everyone escaped. I think they were buried." 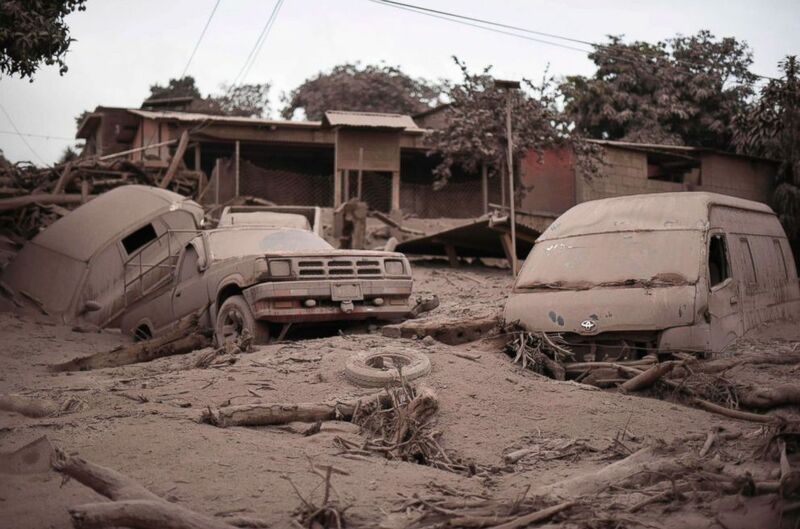 (Johan Ordonez/AFP/Getty Images) Damage caused by the eruption of the Fuego volcano in San Miguel Los Lotes in Escuintla, Guatemala is pictured on June 4, 2018. Footage showed rescue teams working in darkness trying to enter homes to look for trapped residents, particularly the elderly. 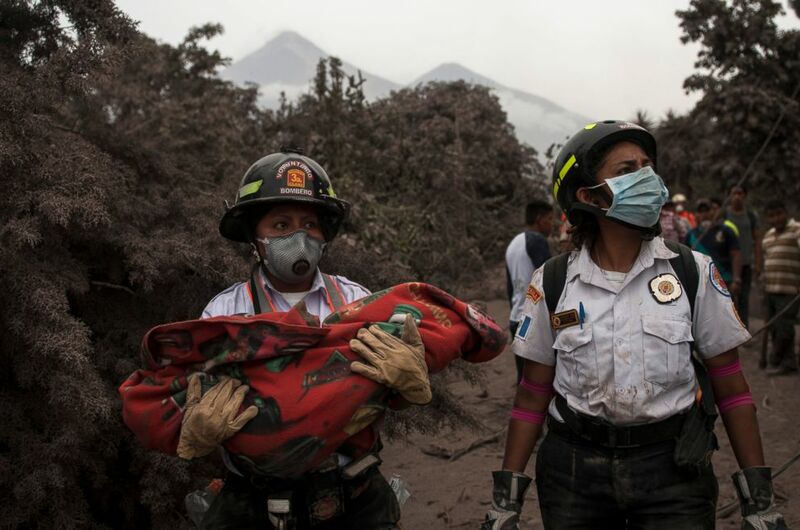 (Oliver de Ros/AP) A firefighter carries the body of a child recovered near the Volcan de Fuego, or "Volcano of Fire," in Escuintla, Guatemala, June 4, 2018. Volcan de Fuego's eruption is the biggest in Guatemala since 1902, when the Santa Maria volcano erupted and killed thousands . President Jimmy Morales said he was convening his ministers and considering declaring a state of emergency in several of the affected areas. 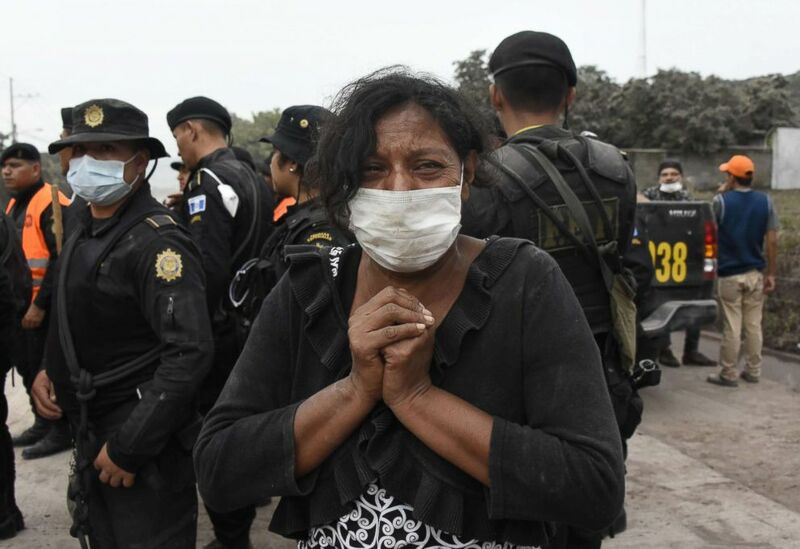 (Johan Ordonez/AFP/Getty Images) A woman cries for her missing relatives during the search for victims in San Miguel Los Lotes, in Escuintla, Guatemala on June 4, 2018, a day after the eruption of the Fuego volcano. 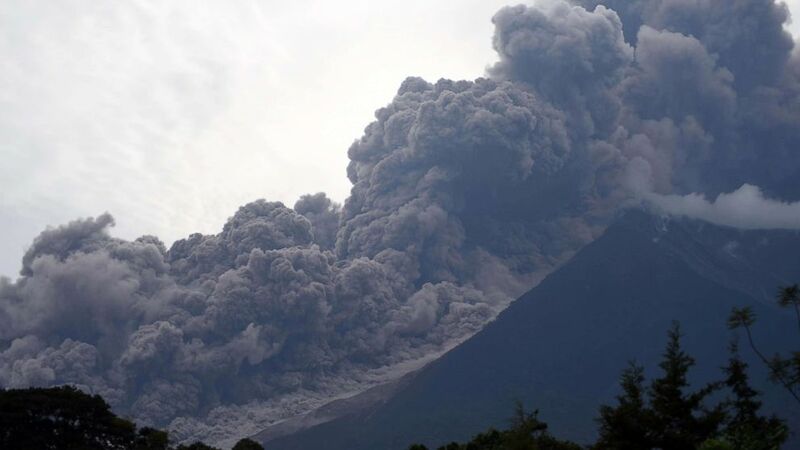 Officials warned that the eruption still poses a risk, especially given the possibility of continued pyroclastic flows. (Noe Perez/AFP/Getty Images) People flee El Rodeo village, Escuintla department, 22 miles south of Guatemala City, after the eruption of the Fuego Volcano, June 3, 2018. (Orlando Estrada/AFP/Getty Images) The Fuego Volcano in eruption, seen from Alotenango municipality, Sacatepequez department, about 40 miles southwest of Guatemala City, June 3, 2018. (National Police of Guatemala/HO/AFP/Getty Images) A policemen is pictured during search operations around Fuego volcano after an eruption in Guatemala, June 3, 2018.